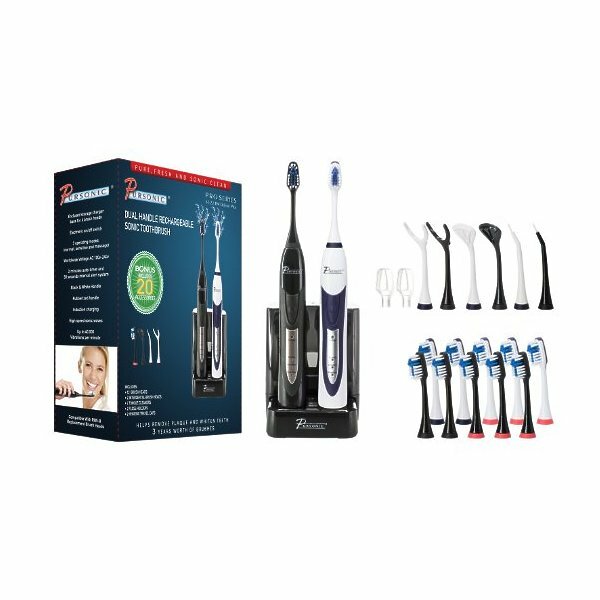 PURSONIC BLACK AND WHITE� ELECTRIC TOOTHBRUSH PCPS520BZ - Enclosed storage charger �base for 2 brush heads - Utilizes germicidal UV bulb to kill over 99. 9% bacterium - 3 operating modes (normal, sensitive and massage) - Worldwide voltage AC 100V-240V - 2 minutes auto timer with a 30 seconds interval alert system - Zebra and Matte Black Handles - 10 minutes auto stop timer for UV sanitizing 2 heads simultaneously - 3 speed sonic frequency control with 3 settings, 40,000, 45,000 and 30,000 massage mode - Approximately 50 minutes of usage time per handle after the units are fully charged - Enclosed storage charger - Base for 2 brush heads - Utilizes germicidal UV bulb t kill over 99. 9% bacterium - 3 operating modes (normal, sensitive and massage) - Worldwide voltage AC 100V-240V - 2 minutes auto timer with a 30 seconds interval alert system - Zebra and Matte Black Handles - Induction charging . 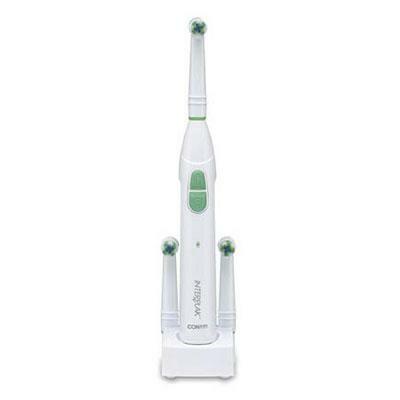 Conair Cordless and Battery-operated Dental Water Jet that is compact and powerful to flush out plaque and food debris Reverses gingivitis and helps prevent gum disease; Hi/Low Flow Control on handle; Pause Control on handle; Two Color-coded Jet Tips; 3-foot White Coil Hose; Easy to fill reservoir with water level markings; Operates with 3 "AA" Batteries (Not Included); Ideal for travel. This item cannot be shipped to APO/FPO addresses. Please accept our apologies. 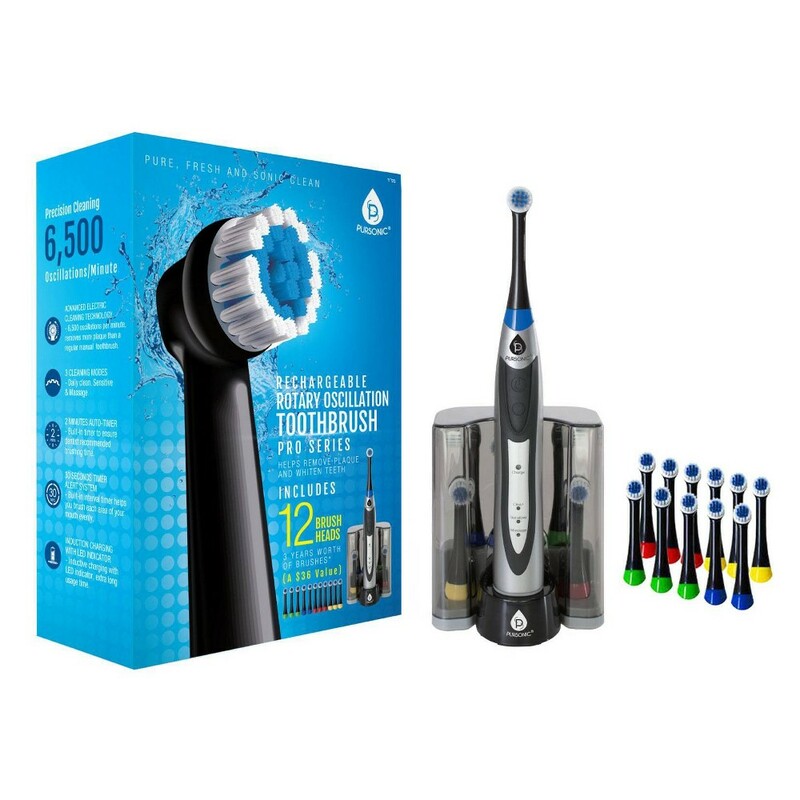 S450 DELUXE PLUS Sonic toothbrush with UV sanitizing function W/ BONUS 12 Brush heads Rechargeable UV Sanitizer Sonic Toothbrush - Effectively removes plaque without irritating gums - Reaches deep between teeth to remove plaque from hard-to-reach places - Removes even tough stains leaving naturally whiter teeth - Gentle on teeth and gums Sonic toothbrush - 30,000 powerful sonic strokes per minute - Advanced electronic control and electro mechanical driving system - Powerful plaque remover where normal bristles can not reach - 2 minutes auto-timer and 30 seconds alerting - 3 operation modes (normal, soft, and massage) with LED indicator - Extra long usage time - Waterproof design UV sanitizer - Utilizes germicidal UV bulb to kill over 99. 9% bacterium - 7 minutes sanitizing timer control - Sanitizer chamber can store 4pcs of brush heads - Dripping cup design for easy cleaning - 100 to 240V AC input worldwide design - Product size: 100 x 100 x 270mm - Includes Pursonic 1-year Limited Warranty http://syndicate. 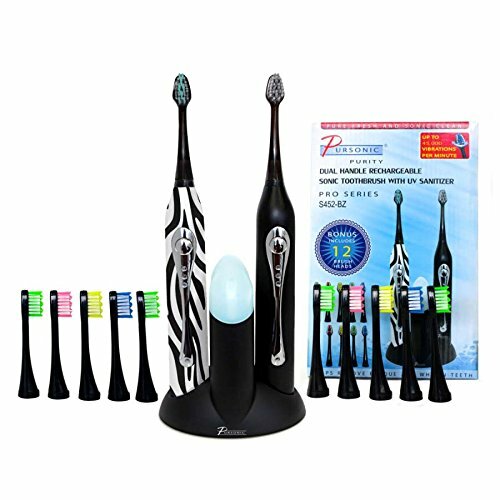 PURSONIC ELECTRIC RECHARGEABLE� TOOTHBRUSH BLACK PCPS330 - Effectively removes plaque without irritating gums -Up to 6,500 oscillations per minute -3 Operating Modes (clean, sensitive and massage) -2 minute auto timer with a�30 second interval alert system -Enclosed storage charger base for 6 brush heads -Worldwide Voltage AC 100v – 240v - Reaches deep between teeth to remove plaque from hard-to-reach places - Removes even tough stains leaving naturally whiter teeth - Gentle on teeth and gums - Brush Handle with rubber slip resistant grip - Includes BONUS 12 brush heads . 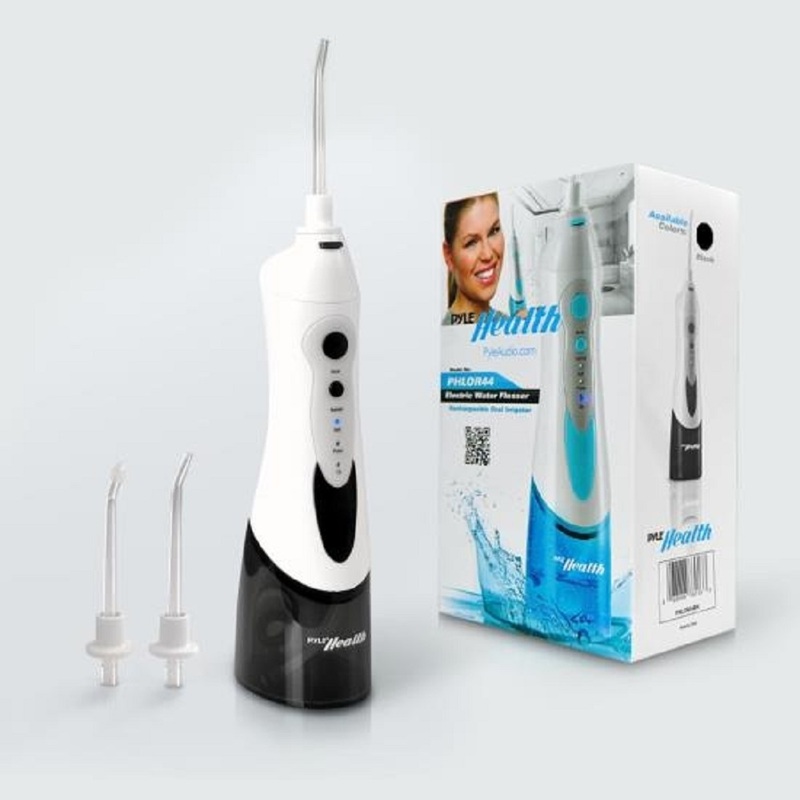 �PYLE ELECTRIC WATER FLOSSER ORAL IRRIGATOR BLACK� PCPY4BK Features: Quick & Convenient Flossing Compact, Portable & Ergonomic Handheld Design Lab Tested and Proven to Improve Oral Hygiene Health Significantly Better Than Normal Flossing Easy-to-Use with Deep Clean Ability Includes (2) Water Flosser Tip Attachments Helps Remove Food Particles Between Teeth Also Help Remove Plaque Below the Gum Line Cleans and Stimulates Live Tissue for Healthy Gums Ideal for Cleaning Around Bridges, Braces and Crowns (3) Floss Modes: Normal, Soft, Pulse Built-in Rechargeable Battery Marine Grade Waterproof Construction, IP Rating IP-X7 Produces A Jet Stream Up To 80 PSI 1700 Pulses Per Minute 360� Rotating Jet Nozzle Attachment Removable & Refillable Water Tank Water Tank Capacity: 180ml Auto Power-Off After 2 Minute Cycles Easy Single-Push Button Controls LED Indicator Lights. Replacement Standard Brush for models EW-DL91 EW-DL80 EW-DE92 EW-DL82. This item cannot be shipped to APO/FPO addresses. Please accept our apologies. Natural birch wood, in three plastic refillable containers with lids, easy to put in purse, pockets cars, great for on the go. 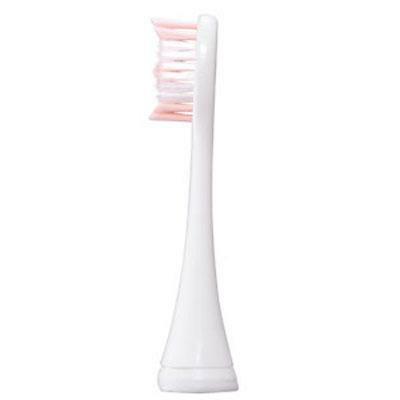 PURSONIC Standard Replacement� Toothbrush Heads replaces Philips Sonicare HX7022 E-Series Standard, fits Philips Advance, CleanCare, Elite, Essence, and Xtreme Brush Handles 4-pack NOT FOR PURSONIC TOOTHBRUSHES! 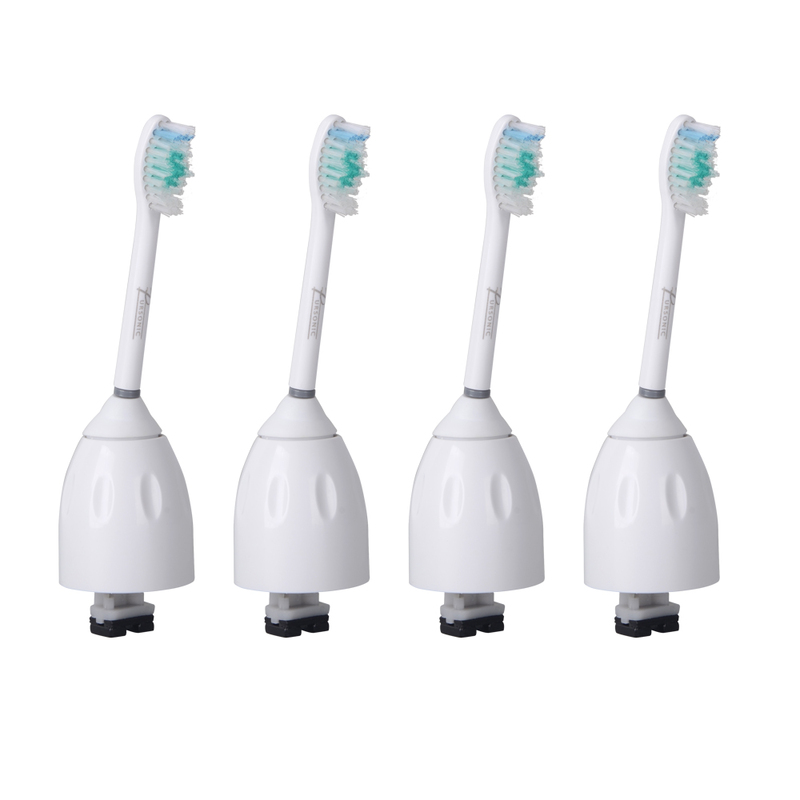 4 replacement toothbrush heads for�Philips Sonicare HX7022 E-Series Standard, fits Philips Advance, CleanCare, Elite, Essence, and Xtreme Brush Handles. 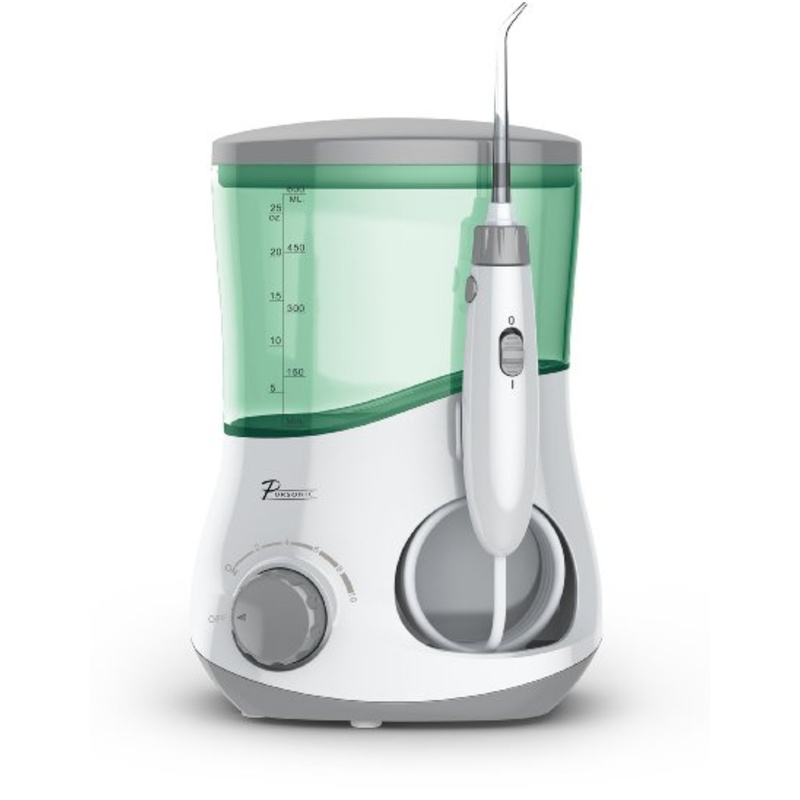 Pursonic Premium standard toothbrush heads are proven to reduce gingivitis up to 100% better than a manual toothbrush. Pursonic Premium Standard brush heads are Compatible with: Philips Sonicare Advance, CleanCare, Elite, Essence, and Xtreme power toothbrushes. 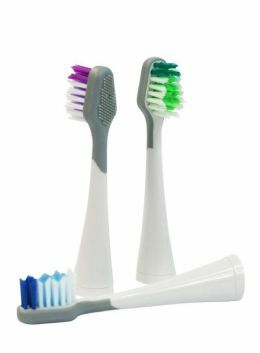 Pursonic Premium Standard Toothbrush Heads include caps for hygienic storage and travel. Pursonic Brush heads screw on for easy replacement and cleaning. OEHHA Prop 65 approved Pursonic Premium Standard toothbrush heads are made to the highest health and safety standard. Reminder bristles will fade when a replacement is needed, usually three months is the estimated time for a change of the brush. 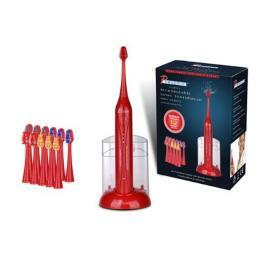 Pursonic brush heads Fits the natural shape of teeth for a thorough clean. 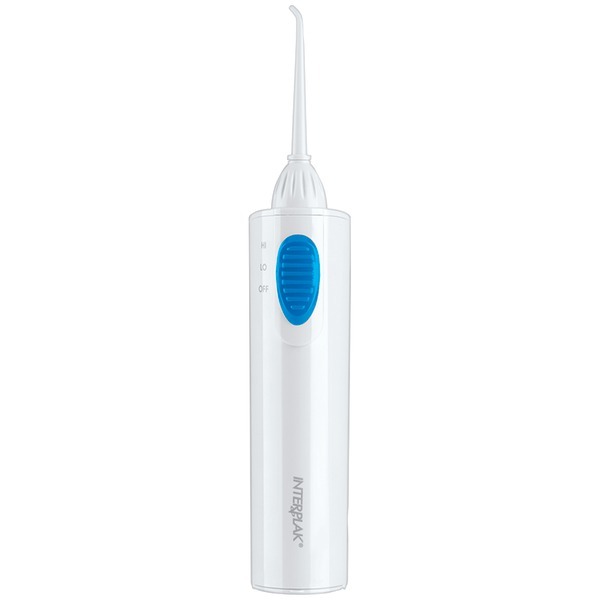 An all-in-one flossing system Interplak by Conair uses sonic dental technology and powerful yet gentle water jets to cleanse teeth and help keep gums healthy. 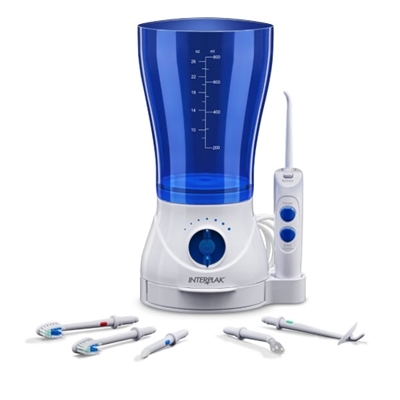 Designed to promote dental hygiene and dental health model SWJ2 provides pulsating action with 7-position pressure control and 6 attachments. 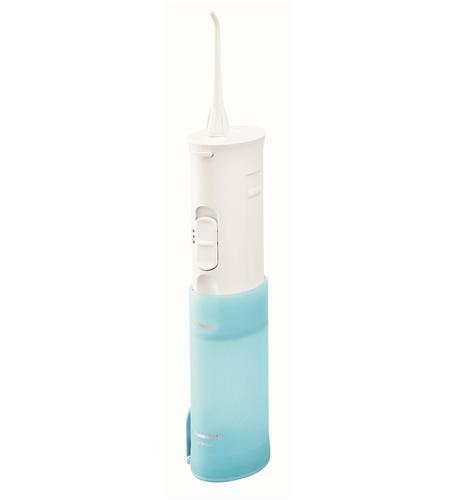 Interplak by Conair Water Flossing Systems makes maintaining your oral health easier. Sonic technology. 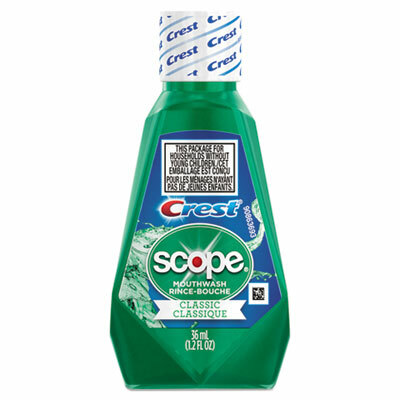 Cleans between the teeth and below the gum line. 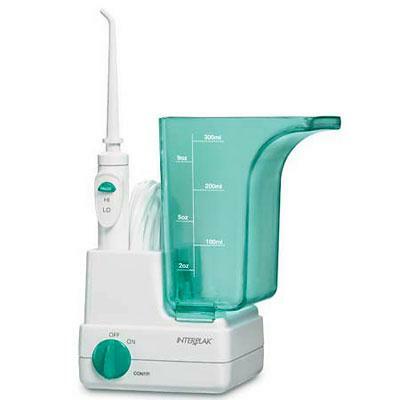 Helps prevent gingivitis and gum disease 6 attachments: Water jet tip -2 full-size brush heads. Subgingival tip. Uniquely designed massager. Tongue cleaner. Large capacity tank for fewer refills. Pause for flow control. Sonic button controls sonic vibration. 7-position pressure control for comfortable pulsating action. On/Off button. Flip tank over for compact storage. This item cannot be shipped to APO/FPO addresses. Please accept our apologies. PURSONIC REPLACEMENT BRUSH HEADS 3 PACK PCPSRBH3 3 PACK 8 Replacment Tooth Brush heads for Pursonic Electric toothbrushes models S400 Deluxe, S450 Deluxe and S620. 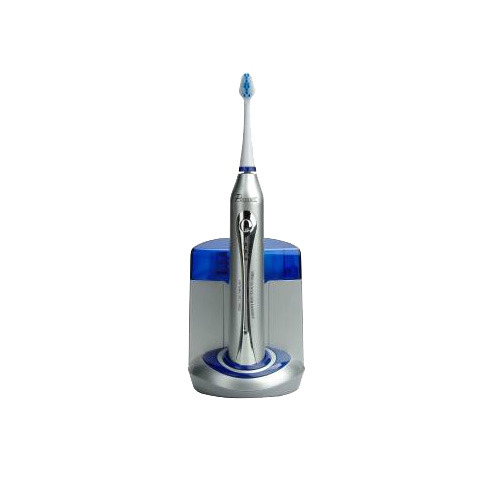 The reverse side features a convenient silicone tongue brush on its reverse side to help eliminate bacteria. Effectively removes plaque with out irritating gums. Reaches deep between teeth to help remove plaque. Helps remove tough stains for whiter looking teeth. �Dentist recommend that your toothbrush head be replaced every 2 to 3 months to maintain optimal hygienic results. If your toothbrush head no longer returns to its original shape, it's time for a replacement. 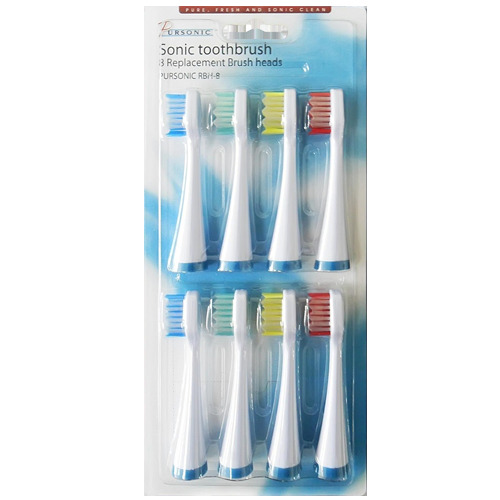 These Sonic Toothbrush heads are equipped with specially designed bristles that contour to your teeth to provide effective cleaning action while remaining gentle on your teeth and gums. These replacement heads are compatible with Pursonic Sonic Toothbrush S400, S450 and S620 models. 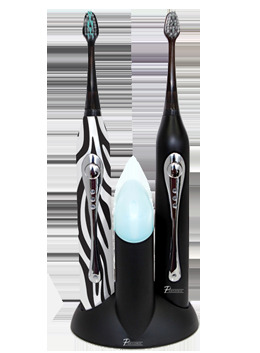 They are also compatible with the follow other toothbrush brands and models Dazzlepro's Advanced Sonic Toothbrush and the Advanced GT Sonic Toothbrush, Bling Dental: Diamond 2. Panasonic Replacement Nozzle for EW-DJ10-A Oral Irrigator 2-Pack replacement White. It is recommended that Nozzle Replacement should be done every 6 months This item cannot be shipped to APO/FPO addresses. Please accept our apologies. 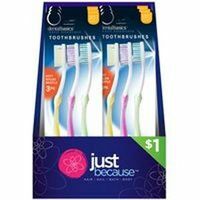 PURSONIC Replacement Toothbrush Heads 8-pack� PCPSRB8 NOT FOR PURSONIC TOOTHBRUSHES! 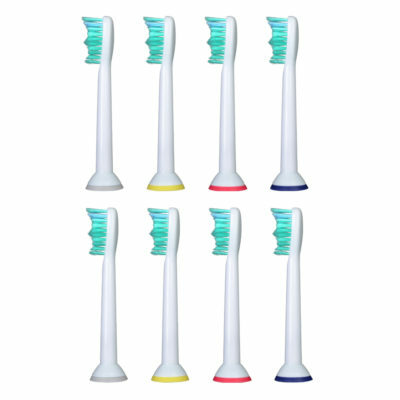 8 replacement brush heads for�Philips Sonicare HX6014 ProResults, fits DiamondClean, EasyClean, FlexCare series, HealthyWhite, Plaque Control and Gum Health Handles Pursonic Compatible replacement brush heads of the replacement pro results HX6013/66 brush heads, suitable for the following models: HX6100/HX6150/HX6411/HX6411/HX6431 HX6431/HX6500/HX6511/HX6530/HX6711 HX67 The quality of Pursonic Premium toothbrush heads is the MOST comparable to Philips Sonicare OEHHA Prop 65 approved Pursonic toothbrush heads are made at the highest health and safety standard. 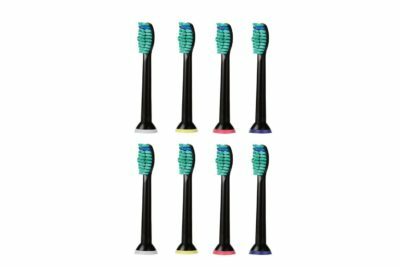 PURSONIC Replacement Toothbrush Heads 8-pack BLACK� PCPS8BK NOT FOR PURSONIC TOOTHBRUSHES! 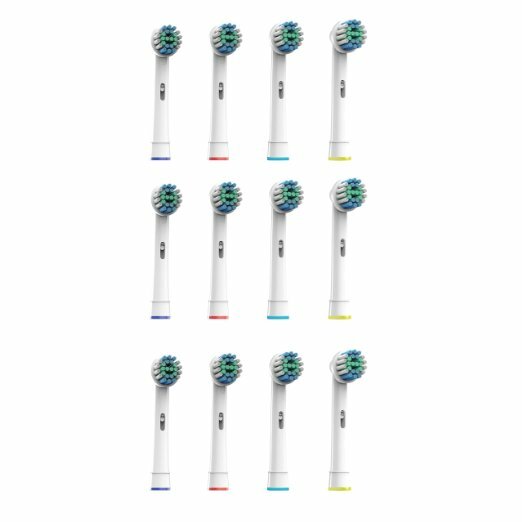 8 replacement brush heads for�Philips Sonicare HX6014 ProResults, fits DiamondClean, EasyClean, FlexCare series, HealthyWhite, Plaque Control and Gum Health Handles Pursonic Compatible replacement brush heads of the replacement pro results HX6013/66 brush heads, suitable for the following models: HX6100/HX6150/HX6411/HX6411/HX6431 HX6431/HX6500/HX6511/HX6530/HX6711 HX67 The quality of Pursonic Premium toothbrush heads is the MOST comparable to Philips Sonicare OEHHA Prop 65 approved Pursonic toothbrush heads are made at the highest health and safety standard. Trust this powerful rinse for germ-killing action that leaves your whole mouth feeling fresh and clean. Kills 99% of bad breath germs. 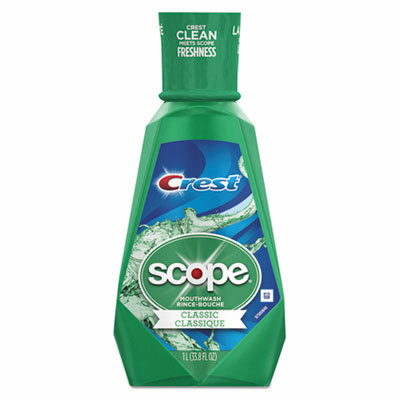 Get fresh with a delicious mint flavor that creates a pleasant mouth-washing experience. Safety-sealed bottle. Capacity (Volume): 1 L; Flavor: Classic Mint; Packing Type: Bottle. Trust this powerful rinse for germ-killing action that leaves your whole mouth feeling fresh and clean. Kills 99% of bad breath germs. Get fresh with a delicious mint flavor that creates a pleasant mouth-washing experience. Safety-sealed bottle. Capacity (Volume): 36 mL; Flavor: Classic Mint; Packing Type: Bottle. RTGX -Opti-Clean Cordless Rechargeable Power Plaque Remover includes 2 Brush Heads; Interproximal Brushes clean in and around teeth; Polishing bristles soothe tooth surfaces; Subgingival brisles clean under gumline; Easy push-on design; Color Indicator Ring; Recharges on its own compact storage base; UL listed. This item cannot be shipped to APO/FPO addresses. Please accept our apologies. 8 pack replacement Brush Heads for S400/S450 models RBH-8 8 pack replacement Brush Heads for S400/S450 models RBH-8 Dental professionals recommend replacing your brush heads every three months or earlier if the bristles become spread out. Strengthens teeth with active fluoride. 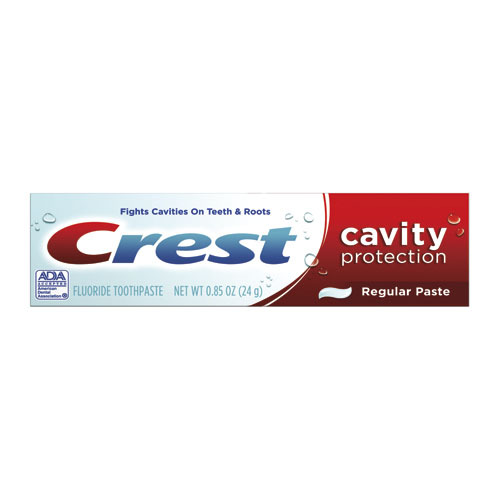 Cleans teeth thoroughly and leaves your whole mouth feeling clean. 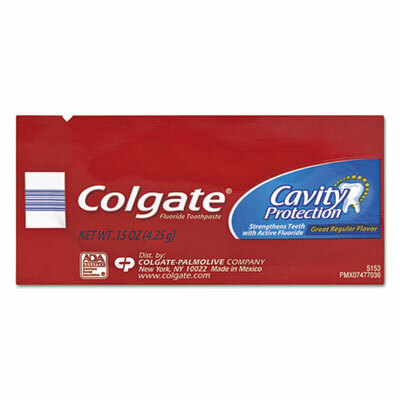 Fights cavities while strengthening your teeth. 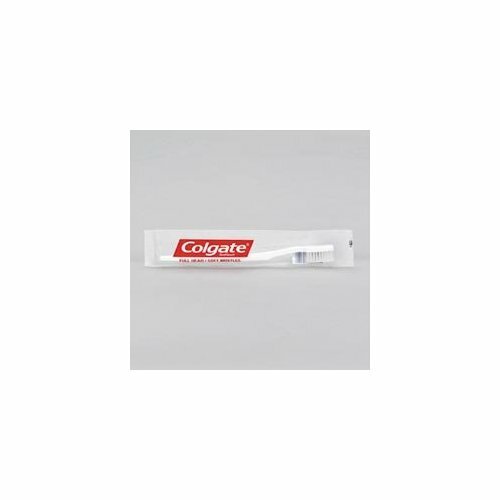 Personal Care Product Type: Toothpaste; Scent: Regular Flavor; Capacity (Volume): 0.15 oz; Packing Type: Tube. PURSONIC Sensitive Replacement Brush Heads� for Oral B� 12pk � PCPS1712 These Replacement Toothbrush Heads (12 Pack by�PURSONIC) are compatible with�most�Oral-B power toothbrushes. They have built-in bristles which bend easily to ensure flexibility, and thorough cleaning capability. Brushing with these brush heads also enables both gentle brushing and deeper cleansing between teeth. They are compatible with the following Oral B electric toothbrushes: – Oral B Vitality Precision Clean (All models) – Oral B Vitality Dual Clean (All models) – Oral B Professional Care (All models) – Oral B Professional Care Smart Series (All models) – Oral B TriZone (All models) – Oral B Advance Power (All models) – Oral B Pro Health (All models) – Oral B Triumph (All models) – Oral B 3D Excel (All models) Our heads are not compatible with Oral B Vitality Sonic, Oral B Cross Action Power, Oral B Sonic Complete or Oral B Pulsonic.